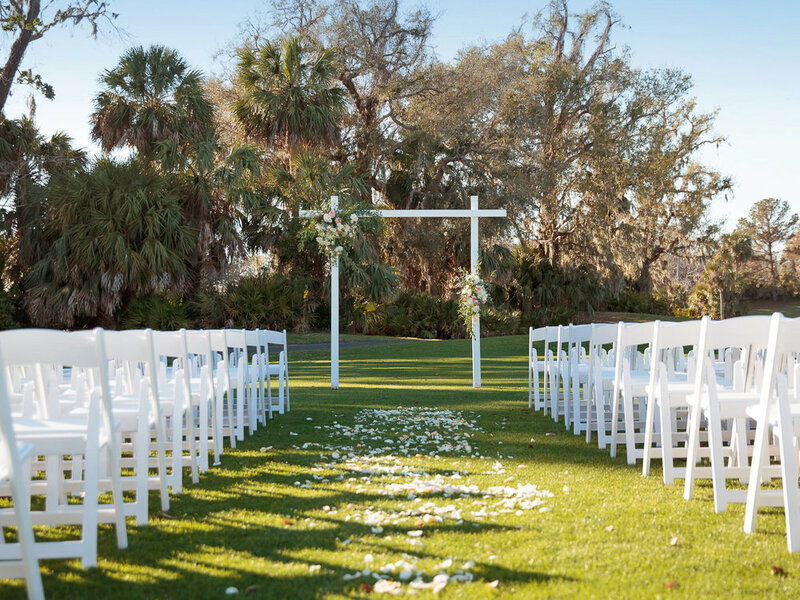 Palmetto Dunes has a professional staff to help you plan & enjoy an unforgettable, seamless, and stress-free wedding day whether you choose an intimate beachfront ceremony or an extravagant event at one of their spectacular venues! The Dunes house has a large outdoor dining deck with a unique, breathtaking view of the Atlantic Ocean. There is also an indoor space and covered bar area. This golf course location offers stunning scenery with beautiful green grass lawns and southern trees. Arthur Hills has an outdoor covered dining porch at the clubhouse. Center Court is a ballroom with a large open-air covered pavilion that makes it the ideal setting for weddings & wedding luncheons. Palmetto Dunes Oceanfront Resort offers the ultimate wedding destination on Hilton Head Island. We offer multiple unique venue options and a full catering menu. We’d love to host your wedding!